We thought Bernese were the perfect breed and then we acquired a Leonberger! They are very similar in temperment and personality, easy to train and both breeds have a natural love of children. 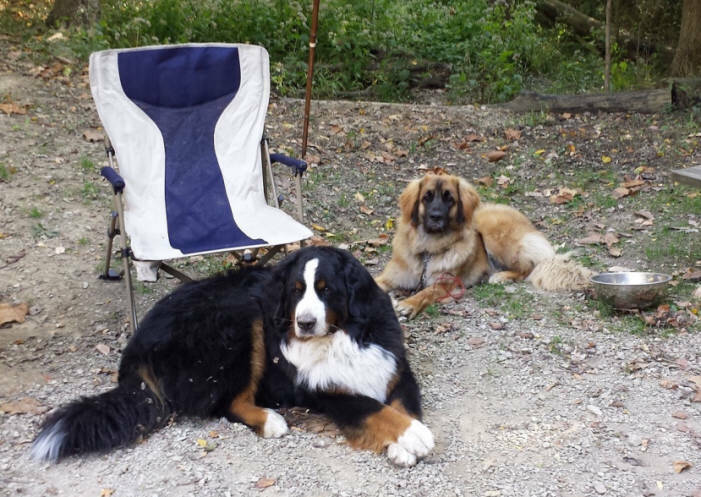 In general, Leo's are taller and slightly larger than Berners. Like the Berners, Leo's are "dry mouthed" and do not drool. 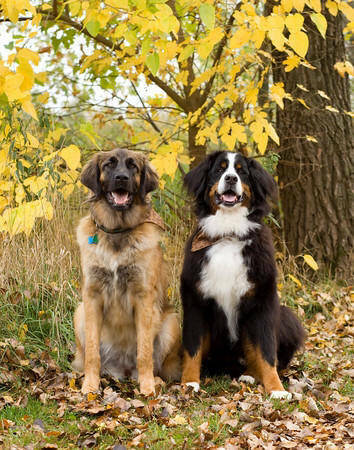 Both breeds have similar grooming requirements and do not require extensive daily grooming. They both have coats that do not mat easily and do not need daily brushing. The biggest different between Leonbergers and Berners is that Leos love the water. And boy, do they love water! From their heritage they have webbed feet like Newfoundlands do, and have been trained and used in water rescue work. They will tip their water buckets over their heads just for fun and any available hose in the yard is free game for them. Puppies will sleep in their water bowls and will jump in toilets in they can get to them. Leos are very entertaining with their water antics. Obviously, they are great swimmers! Leos are prone to the same health problems that all large breeds face. 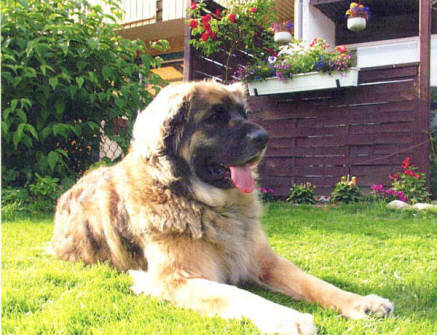 We test and screen all our Leonbergers for any potential health problems before breeding. 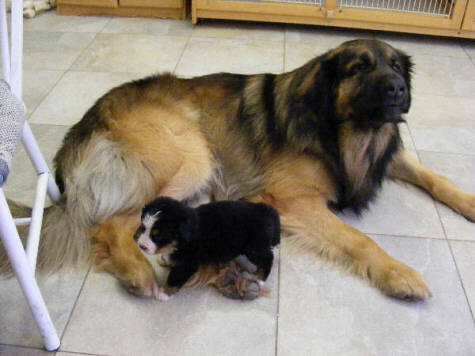 We belive the Leonberger will be the "breed of the future" as more people discover this wonderful dog. 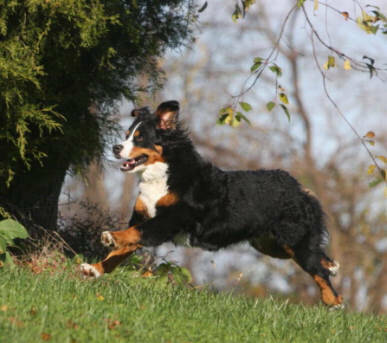 If you love Berners, you will love Leo's, too.